The Edgecore AS5812-54X switch meets the high-performance, availability, and network-scaling requirements of enterprise and cloud data centers. The AS5812-54X provides full line-rate switching at Layer 2 or Layer 3 across 48 x 10GbE ports and 6 x 40GbE uplinks. The switch can be deployed either as a Top-of-Rack switch, or as part of a 10GbE or 40GbE distributed spine, forming a non-blocking folded-Clos data center fabric. The switch is rack mountable in either a standard 19 inch rack, or with the Open Rack Switch Adapter in the 21 inch Open Rack. The AS5812-54X hardware provides the high availability features required for data center operation, including; redundant, hot-swappable AC or -48 VDC PSUs or 12 VDC power input; fan with 4+1 redundant fan modules; and port-to-power or power-to-port airflow options. The AS5812-54X is an ideal Top-of-Rack switch for virtualized data centers, with its support of VXLAN and NVGRE tunneling functions in hardware. 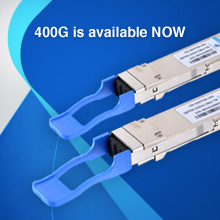 Port Grouping to group 4 x 10G ports into one 40G port at the physical layer for maximum bandwidth utilization, and for 300 optical reach over MMF (Subject to NOS options). 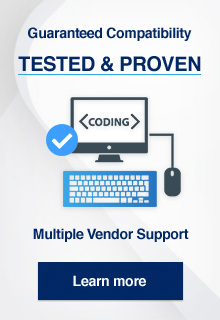 Compatible with Cumulus® Linux® r3.0 and later version from Cumulus Networks®. Compatible with IP Infusion OcNOS. Compatible with PicOS™ version 2.8.0 from Pica8 Inc. 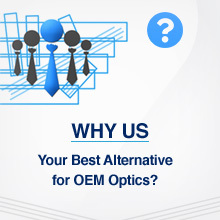 Compatible with Ixia Vision Edge OS™ 4.7.5 and later version.